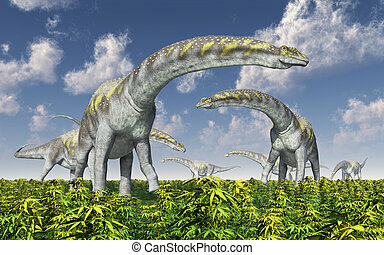 Argentinosaurus herd. 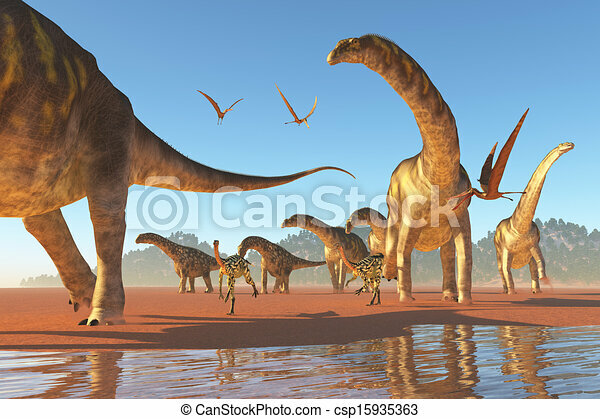 Two deinocherius move along with a herd of agentinosaurus dinosaurs eating any insects and small animals that are stirred up. 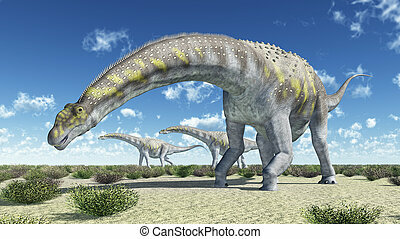 Two Deinocherius move along with a herd of Agentinosaurus dinosaurs eating any insects and small animals that are stirred up. 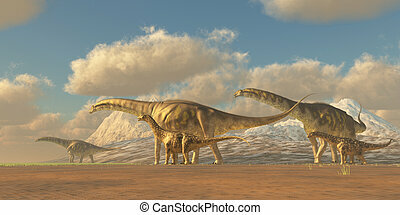 Hypsilophodon and Pteranodon dinosaurs accompany a herd of Argentinosaurus on their yearly migration to warmer temperatures. 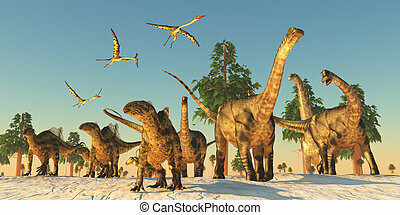 An Argentinosaurus and Deinocheirus herd gets upset when a flock of Anhanguera reptiles fly to close to them. 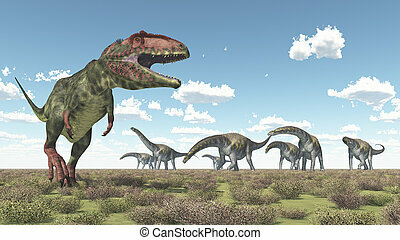 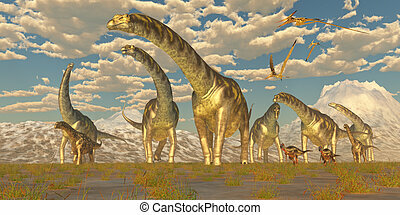 A herd of Argentinosaurus dinosaurs walk towards more fertile vegetation to eat and water to drink. 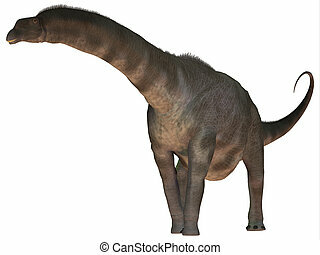 Argentinosaurus was a titanosaur sauropod dinosaur from the Cretaceous epoch of Argentina. 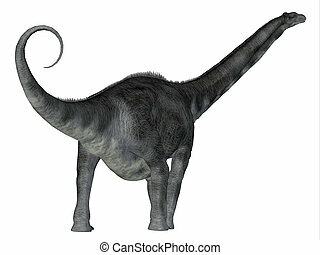 Argentinosaurus was a titanosaur sauropod dinosaur from the Cretaceous epoch in Argentina. 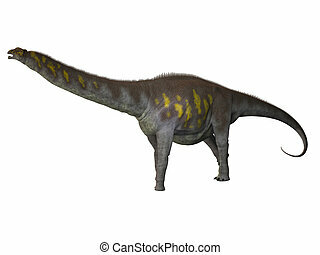 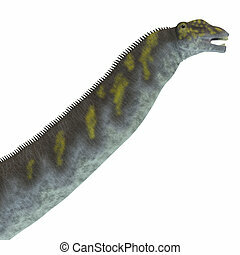 Argentinosaurus was a herbivorous sauropod dinosaur that lived in Argentina during the Cretaceous Period. 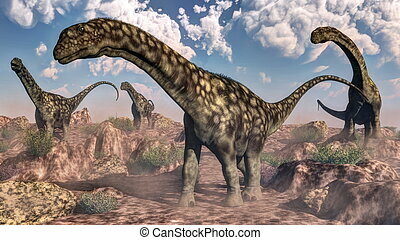 Argentinosaurus was a herbivorous dinosaur that lived in the Cretaceous Period of Argentina, South America. 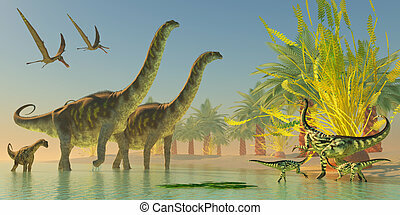 A mother Deinocheirus dinosaur and two Anhanguera watch as Argentinosaurus make their way through swallow lake waters. 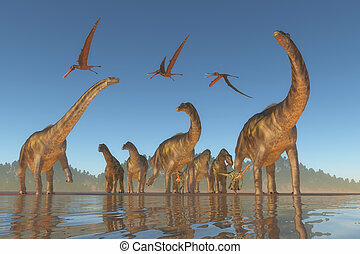 Quetzalcoatlus flying reptiles join Tenontosaurus and Argentinosaurus dinosaurs on a migration in search of water.